MS Walk Denver 2010: The Land of Nutrition - Elizabeth Yarnell, naturopathic doctor specializing in food sensitivities (MRT, CLT), health, diet and nutrition speaker. For Immediate Release: DENVER, CO – The Colorado chapter of the National Multiple Sclerosis Society has invited Elizabeth Yarnell to host the “Land of Nutrition” at this year’s MS Walk on Sunday, May 1, in the MS Wellness Experience Tent located in the grassy meadow just south of the Denver Zoo, and west of the Denver Museum of Nature and Science. “Elizabeth’s message of healthy eating and knowledge of nutrition is a perfect complement to the information and resources we strive to provide to those affected by MS and their loved ones,” says Scott Mayeux, Senior Development Manager for the Colorado chapter. Yarnell has lived with MS for over a decade and often dedicates her time to raising funds and awareness for MS causes. 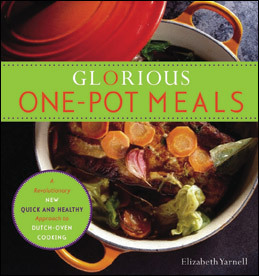 Signed cookbooks will be available as door prizes and for purchase. Join us at the MS Walk in Denver by registering at www.walkmscolorado.org or calling 303-698-7470. Contact Molly Skyar at 310-374-4477 x19 about opportunities to sponsor the MS Walk’s Land of Nutrition.